We normally have a few Mallee Ringneck parrots hanging around somewhere on our 5 acre property. 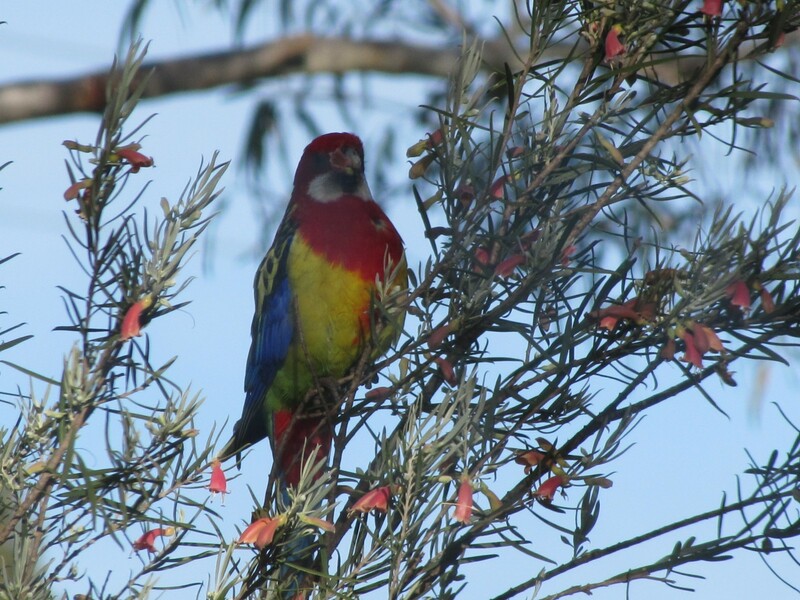 In the last few years we have also had one Eastern Rosella keeping them company. We don’t see it every day but frequently enough to keep us happy – after all, it is a handsome looking bird. This particular parrot has taken a liking to the flowers of several of our Eremophila youngii bushes – you can see the flowers in today’s photos. All the bushes have a pink carpet of flowers surrounding their trunks. 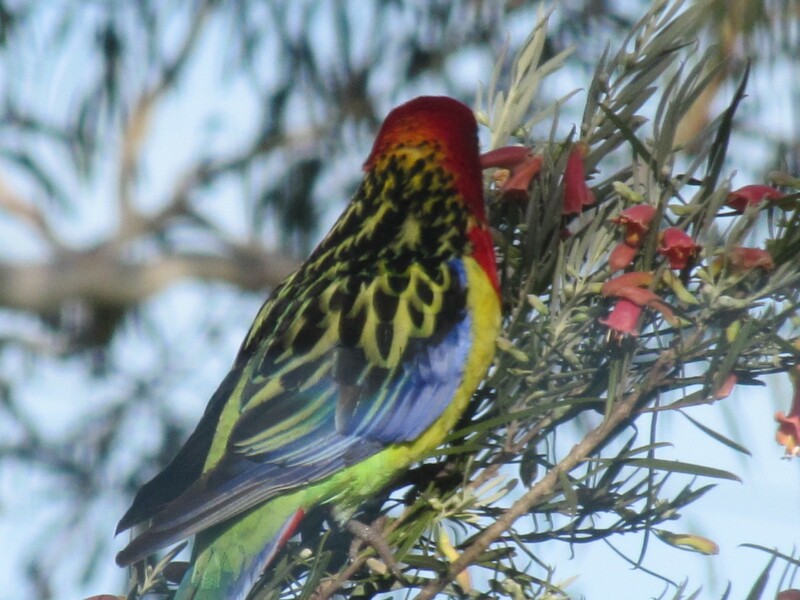 Earlier this week we were enjoying watching the rosella eating while we had our breakfast. A sudden flurry of flapping wings and snapping beaks and the parrot flew off at full speed – its tail closely pursued by an very aggressive Red Wattlebird which in turn was followed by a New Holland Honeyeater. Both of these honeyeater species spend large proportions of their day also feeding on the flowers, so they seemed to be objecting to this interloper elbowing in on their patch. In reality, while both honeyeater species feed on this bush, neither tolerates the other for more than a few seconds. It is an all out territorial war. And I forgot to mention that both honeyeater species are in breeding mode, so their tolerance level is at its lowest at this time of the year.